Wondering which LLC formation service is the best to start your business? We used Swyft Filings and LegalZoom to form real LLCs, then compared their features. Both are reliable services, and in this guide, we’ll let you know if we think LegalZoom or Swyft Filings are worth your money, but we also recommend checking out our list of the top 5 LLC formation services. Swyft Filings and LegalZoom are both expensive services for LLC formation. Swyft Filings has an edge for their price because the overall service is cheaper than LegalZoom. However, both services do not offer a free registered agent service for the first year, like other companies. Also, while both companies do mention that their registered agent service will begin after the filing has been submitted to the state, this price does not get added to the checkout process. This may cause confusion to new users, who will see a second $149-159 charge come later on top of the original total. Who Uses Swyft Filings and LegalZoom? Swyft Filings has a great customer satisfaction rating on sites like Sitejabber—see the Customer Service section of our Rating Highlights for more information—and has been used by many people to create LLCs. 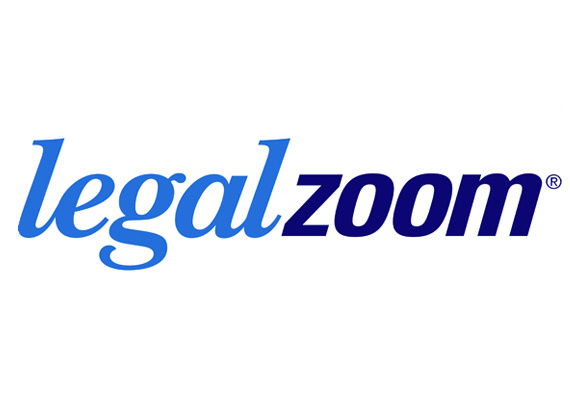 LegalZoom is one of the most established brands in LLC formation and other online legal services. It’s also rated A+ by the Better Business Bureau. While their customer service is not the highest rated of all, they’ve helped over one million LLCs get started and their customers have trust in the brand. "The process to set up my LLC in the State of Vermont was easy and took only about 5 minutes. My corporate name was available first time. Great program highly recommend using this process." Both Swyft filings and LegalZoom are reliable companies for LLC formation, among other services. While neither of these services offer an inexpensive services, there is a significant advantage Swyft Filings has in cost and value over LegalZoom at all package and service levels. Below, we examine each service's LLC formation packages for an in-depth look. Neither company rates well for customer service. LegalZoom consistently rates poorly on third-party customer review sites such as only getting a 3.3/5 on Sitejabber.com out of more than 680 reviews. Swyft Filings, while having a rating of 4.5/5 on Sitejabber.com out of more than 20,609 reviews, has many mixed reviews, including complaints of trouble reaching actual members of Swyft’s support team, and the many upsells presented in the checkout process. We also experienced inconsistencies in the support we received when testing out their service, leading us to our conclusion. While both companies will form your LLC at the prices advertised on their sites, neither offer an operating agreement or an EIN number with the basic pricing package. Swyft Filings lets you add these a la carte to the Basic package if you need it, and includes them at the Standard and Premium levels. LegalZoom, however, does not bundle these into any package, offering both for a separate $159 fee, or just an operating agreement for $99. Want a free operating agreement and EIN? Sign up for a free business center account and use our operating agreement template for free and learn how to obtain an EIN from the IRS, also free. Both companies have a slightly above average formation experience. Where Swyft Filings wins with their dashboard after forming, LegalZoom wins with a better checkout process. Swyft Filings’ user dashboard that customers gain access to after forming, stands out in this comparison. All of the resources—such as your filing status or compliance alerts—are streamlined in a user-friendly format. However, the same cannot be said about its ordering and checkout experience. It took more than 12 pages to accomplish our goal of completing the order and beginning the LLC formation process, along with many pricey upsells along the way. Both Swyft Filings and LegalZoom are reliable companies for LLC formation; however, neither of these services are inexpensive. Swyft Filings has a cost advantage over LegalZoom at all package and service levels, but neither of these companies offers their registered agent service for free, unlike companies such as Incfile, which offers basic LLC formation and a year of registered agent service for $49. Both companies are also slow at processing orders, where other companies will process your order next-day, Swyft filings can be expedited for $50 to do it within 7 days, and LegalZoom starts at 20-35 days, and goes to 15 days or 7 days with its higher tier plans. But, if you prefer to use an established brand name, and don’t mind paying a premium, form your LLC with LegalZoom. Swyft Filings and LegalZoom do more than just form your LLC. They each offer additional services, either included in their formation packages or sold separate. You can view the following chart below for our side-by-side look at each company’s lowest cost LLC formation package.